Our Weldon X model pulls together long-lasting Flex Mesh, cushioning fuzeGEL Technology, lightweight Solyte midsole material, friction-reducing seamless construction and durable AHAR Plus outsole for 50% more wear in one premium, versatile workout shoe. Weight: 7.7oz. PRODUCT FEATURES -SEAMLESS CONSTRUCTION The use of seamless materials reduces the potential for irritation and friction caused by traditional stitches and seams. 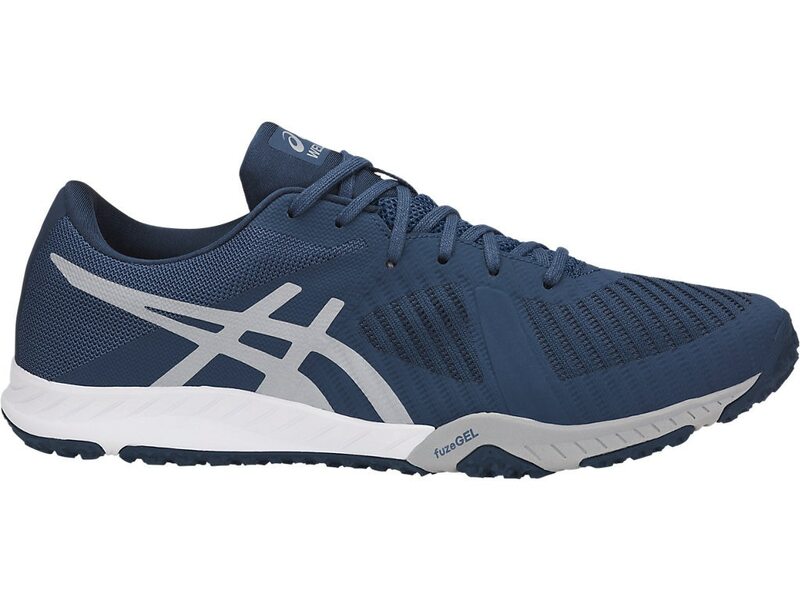 -FUZEGEL MIDSOLE ASICS newest GEL technology cushioning made from the fusion of GEL technology and foam creates lightweight adaptable comfort, tuned to provide rearfoot shock absoprtion that shifts to forefoot bounce back. -REARFOOT AND FOREFOOT GEL TECHNOLOGY CUSHIONING SYSTEM Attenuates shock during impact and toe-off phases, and allows movement in multiple planes as the foot transitions through the gait cycle. -AHAR PLUS OUTSOLE Strategically positioned in critical areas of the outsole, this exceptionally durable compound is 50% more durable than standard ASICS High Abrasion Rubber.